Happy New Year everyone! 2017 went out with a bang, and we are looking forward to a great 2018! 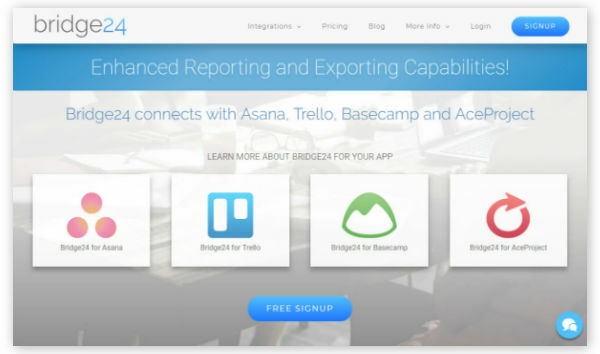 Our continued resolution that is always top of mind: Continue to listen to our users and add more value within Bridge24. If you haven’t been to the site in awhile, the look and feel has been completely revamped. It has a much more light and airy feel to it and now matches the similar feeling you have from within the Bridge24 application. Messaging is clearer and more straightforward for new users. If you are using an Asana Premium workspace, then you were recently provided with additional functionality allowing the input and use of Start dates in addition to the existing Due dates. The field has been made active within Bridge24! 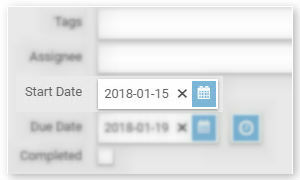 This allows you to access, report and export this field from the grid, board and calendar views. 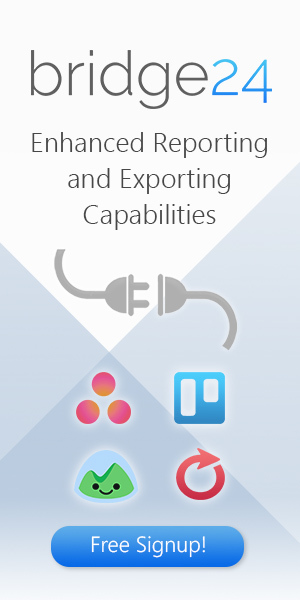 We have added a few more features to the Excel export file based on user feedback. If you have needs or ideas around these topics, please provide your feedback and we will see what we can do!